Booker was the most adventurous and largest of his litter. He loves people and wants to please. Maxie, Booker's sister from a previous litter, was my first Pit Bull. I fell in love with the breed the day I got Maxie (a future volunteer). 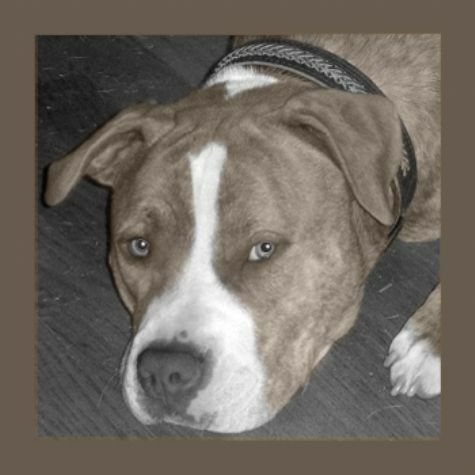 �Bully breeds� need socialization, training, patience, and love. I have spent a lot time working with my dogs, and being able to join Love on 4 Paws was my reward. Booker loves to chase balls, wag his tail, chew nylabones, sleep late, exercise, and earn treats.